When thinking about lanyards, most people think custom: a nice unique logo, some text and maybe the company's colors, all mixed together and given away as a freebie at a promotional event. Lanyards like these are usually used to promote a brand or to show support for an organization. 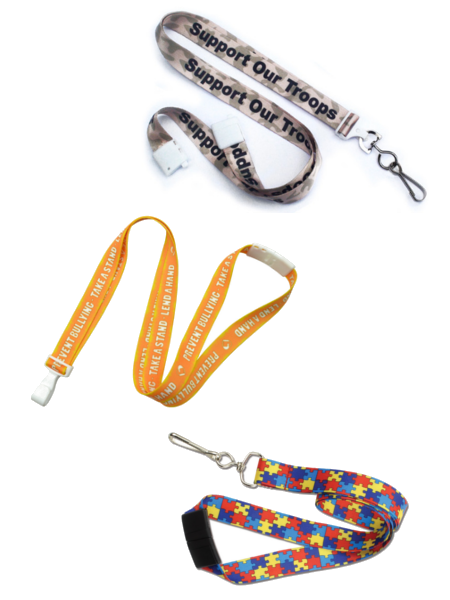 However, there are also standard lanyards that are designed to show support for a particular cause or organization. We call those "lanyards with a cause." With these lanyards, you get the benefits of attention-getting customization at a standard lanyard price, all while showing support for a good cause.